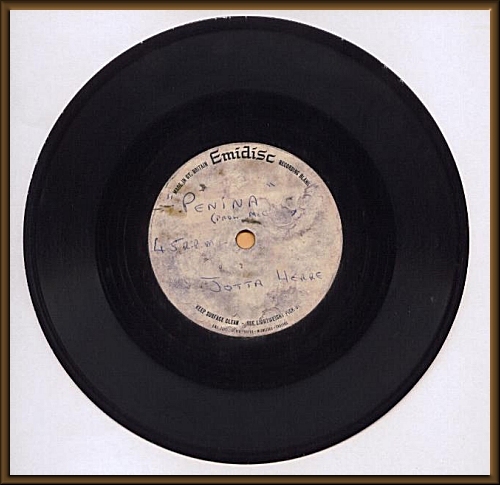 This disc was auctioned on eBay in July 2005 and is surely the standard mono single mix. 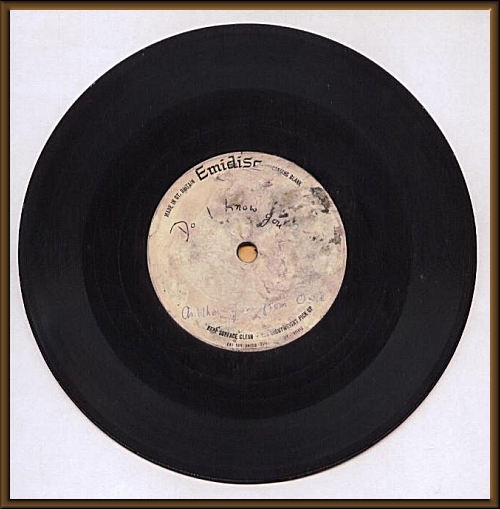 I'm assuming is is an Emidisc because it was accompanied by a batch of other Emidiscs (see auction description). These five 1 sided acetates came from an ex employee of Apple records who gave them to a friend as her son was a fan of the Beatles in the late 60's, all 5 discs have been together all their life so I decided to sell them in 1 lot. Only 2 of the disc's have labels ,the other 3 have long since fallen off, I am not sure of the artists of 3 of the discs, 1 is a cover of the Beatles two of us. There is an acetate of Dont Let Me Down that is sadly missing it's label but it does have a stamp number on the back, I will describe each disc below and if anyone can help with any information I would love to add to the description. The Condition Of The Discs..... I will grade the discs only as Fair as they play with hiss and crackle and clicks as per normal with acetates of this age , All discs play without jumps of repeats and you can still here the music but the vinyl playing surfaces are marked hence the fair grade. Please do not bid if you want top condition. The discs are housed in 5 protective 7" card polylined inner covers. 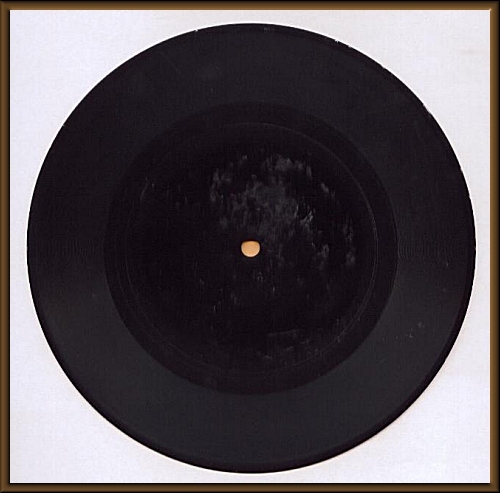 The Beatles, Dont Let Me Down / The labels is missing, 945AA is machine stamped on the playing side , this is a one sided disc. The version is the same time as the B side of Get Back single. Jotta Herre , Penina / This one has an Emidisc label that is in worn torn condition , the artist and tittle are written in blue pen + Paul McCartney under song title ,but as you will see some of this is torn. Do I Know You? / This one has an Emidisc label that is in worn torn condition , the tittle is written in pen plus the words "Another ??? from Owie" is written on the label but hard to work out(see below for close up scan). This is a male singing and sounds very much like a Paul song , I do not know who the artist is????? The disc has a warp but still plays with no skips of repeats but as stated has lots of hiss and crackle but you can still here the music. Two Of Us / I do not know the artist of band is, it is a version of the Beatle song, male vocals and may be mastered at the wrong speed as the vocal sound to high. Any help and I will add to the description. There is no label or stamp on this one. This one is a male singer I think it may be called So Sad Today , there is no label and it sounds a little like a Paul song, any help with this I will add to the description. 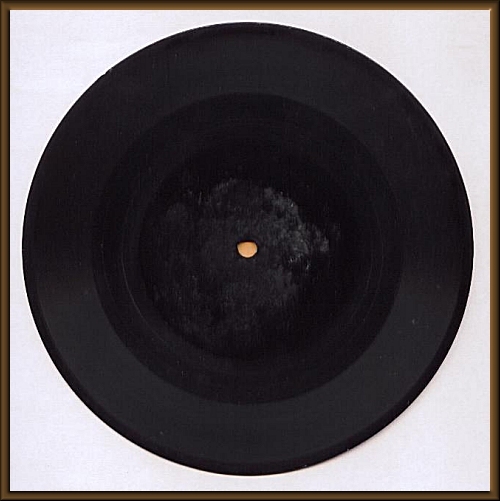 945AA is stamped on the non playing side of the disc ,the same stamp as the Beatles acetate above.